Bronwen and I got up around eight, left around half past nine, and drove up to Buderim for Bronwen’s grandfather’s funeral. It was a solemn, grand affair, complete with a flyover by a Hurricane, and seemed very fitting I thought. Bronwen spent the night up the coast while I drove back, dropping off a few things are her parents’ place. I watched (and listened to) Topology’s “Ten Hands” at the ABC Classic FM Sunday Live broadcast from their Ferry Road studios… which was, quite literally, what it says. It also rained. I finally began to consider perhaps soon looking for work, Bronwen having now firmed up her job offer here in Brisbane. I also didn’t receive any of the things I’d bought in the mail, and instead did some work on the front garden. Bronwen and I had a quiet evening, eating dinner at home, watching some TV, sorting through photos from our holiday and generally relaxing. Bronwen’s Mum dropped over—while Bronwen and I were down at Woolies—and after rushing home, eating lunch, and chatting for a while, we went to Bunnings and Woolies again. Bronwen and I drove to Maz’s, via picking him up from his work, and via Bronwen’s parents’ place to drop off things, and went to Woolies (for the third time today), and Maz made muffins while I bought pizza. Sadly, there will be no postal delivery to wait for today, as it’s Brisbane Show Day. Dinner at Maz’s, along with Kieran, Maz’s flatmate, and Maz’s ex-flatmate. I spent most of the day driving around. First, I drove south to find a specific bank branch for Bronwen, but did not. Then, I drove to her parents’ place—via a glue and power steering fluid selling place. And then, I drove to Coles. Then I drove—through terrible, terrible traffic and the remnants of a multi-vehicle accident—back to the specific bank branch we didn’t find the first time, this time finding it. And then I drove to a different bank branch, which was shut. Then I drove home. 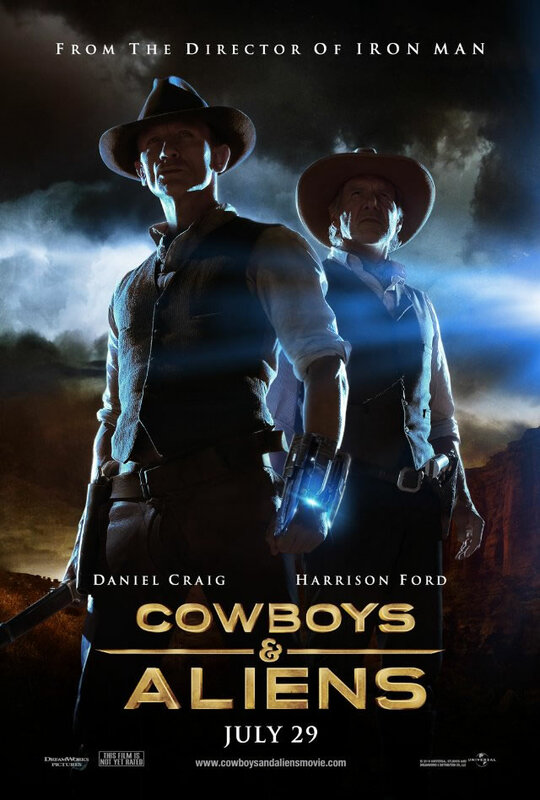 Feeling like a drive for a change, Bronwen and I drove into South Bank and saw “Cowboys and Aliens”—fortunately mostly at the cinema. The movie was, of course—and as I had predicted, despite Bronwen’s concerns to the contrary—absolutely fantastic; it was let down only by being average in, sadly, most ways—fun action for the whole family (unless they’re very scared of alien-ish things or Harrison Ford). Created about 7 yrs, 7 mths ago (September 10, 2011). Updated about 7 yrs, 6 mths ago (October 21, 2011).